At Hawley Lane Dental, our Stratford family dentist offers convenient dental care for every family member, from infants and children to teens and adults. Our dental office is central for families who live and work in Stratford, Trumbull, and Bridgeport, CT. Dr. Kristy Gretzula is committed to helping everyone in your family maintain their dental health as they grow. Our friendly staff makes time for you, from reassuring nervous toddlers at their first dentist appointment, to helping teens choose the right braces for their lifestyle! A family dentist may sometimes be referred to as a general dentist. Family dentists have received a college degree and have graduated from an accredited dental school. They have passed licensure exams and are well versed in all areas of dentistry. Family dentists provide care to all members of a family, making them the preferred choice for many busy families. HOW IS A FAMILY DENTIST DIFFERENT FROM OTHER DENTISTS? A family dental office will provide most aspects of care for the entire family. All dentists begin their training in dental school following their college degree. At the end of school, dentists must pass multiple rigorous board exams to receive their doctor’s license. Some dentists will choose to specialize in a particular area such as endodontics, oral surgery, peodontics, periodontics or prosthodontics. Specialists will treat focus on just one area of dentistry, such as performing only root canals, while family dentists (general dentists) provide care in all areas of dentistry. Most families juggle multiple schedules during the week and weekends. Between school, work, daycare, and extracurricular activities, little free time is left. Rather than schedule multiple appointments at several offices, all family members can be seen at the same time in the same office! Family dentists can save the hassle of extra trips to multiple locations for different family members. A family dentist can treat the needs of their patients no matter their age or stage in life. A family dentist will help your child establish good oral hygiene habits and routines. The office may help with nutritional counseling and give advice on habits such as thumb-sucking. The dentist can monitor growth and determine if a visit to the orthodontist is necessary. Fluoride treatments and sealants are also common practice when treating infants and children. Continued oral hygiene practice monitoring and nutritional counseling are vital family dentistry services for teenagers. Fluoride and sealants are also frequently used when treating teens at dental exams. Hormonal changes and growth spurts can affect the gums and jaw, so a family dentist will monitor for any abnormalities. The family dentist may also provide a sports guard to protect teeth during contact sports. As the body ages, so do the teeth. Each patient’s needs are determined by many factors. Each individual patient’s overall health, habits, and medications affect the state of their mouth. A family dentist will evaluate for periodontal (gum) disease, TMJ problems, oral cancer and any other treatment needed to restore and maintain the teeth. A family dentist may offer general cosmetic services such as veneers, whitening or bonding. They will also provide most restorative treatment such as root canals, crowns and bridges, implants, dentures, and fillings. If you live in Stratford, Trumbull or Bridgeport, CT, it’s important to find a Stratford family dentist that makes you feel comfortable receiving treatment and asking questions. 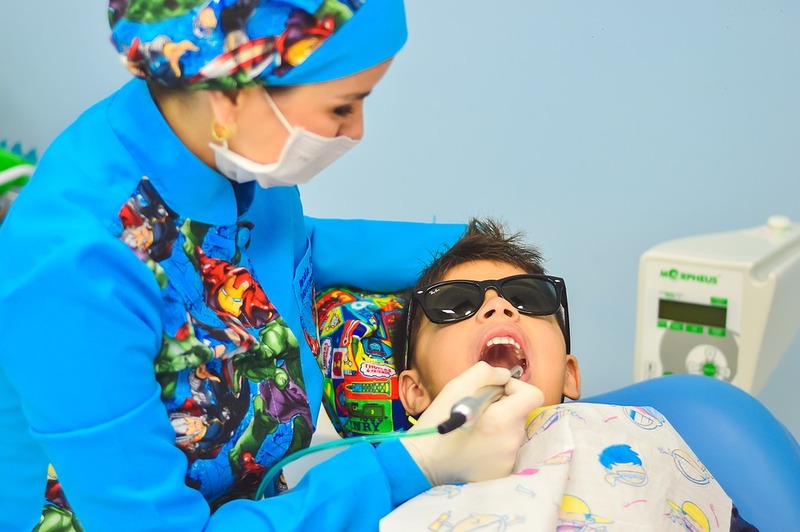 While a family dental group does not need to be full of cartoons and characters, it’s important to be child-friendly. How the dental team approaches your child and in turn, how you and your child respond to the dental team will determine a good fit! Whether you choose a family dentistry office for your whole family or separate adult and pediatric offices, the most important thing is that you and your family feel comfortable. A welcoming environment, clean and updated facilities, and a competent and caring dental team can make all the difference between a positive and negative experience at the dentist. We invite you to visit our Stratford family dentistry office to experience the Hawley Lane Dental difference. To book your first appointment today call 203-377-9300 or fill out our online contact form! 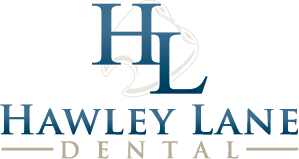 Hawley Lane Dental is dedicated to providing a family-friendly environment. Not only do we offer adults esthetic and advanced dental family care services, we also provide a welcoming kid-friendly environment. It’s recommended that a child’s first dental visit should be 6 months after their first tooth erupts or by 1-year-old (whichever comes first). Babies’ teeth typically start erupting around 6 months old. The lower front teeth (incisors) are usually the first to erupt but some babies may follow a different pattern. Establishing a “dental home” by age 1 helps us work with parents to ensure their children’s’ teeth remain healthy for life. 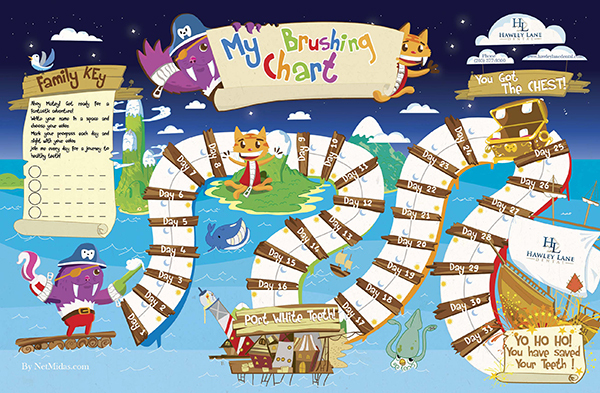 Help your kids prepare for a visit to the dentist by practicing good dental care with our free downloadable brushing chart! In the Family Key write the name(s) of your child(ren) and fill in each circle with a color or sticker for each child. Starting at the first of the month, after each flossing and brushing in the morning and at night, add your child’s color to the space for that day. When you reach the end of the month congratulate (or reward) your child on having saved their teeth for yet another month! To book your Stratford family dentist appointment, contact us at 203-377-9300 today! “My family highly recommends Hawley Lane Dental. Everyone at the practice is so personable and caring. I trust that I am receiving the very best care for my teeth and gums. I have an inflexible schedule and they are very helpful with evening and Saturday appointments when it comes to scheduling. The practice is located in a large shopping center, so parking couldn’t be easier (close to Target, Big Y, etc).